I would never have guessed it was possible to make cauliflower puree so...fluffy! What a great variation--and way to broaden the toddler palate. What a perfect way to get those veggies in -- I'm not a big fan of cauliflower, so this may be a good way for ME to get that veggie in, too! And my girls wouldn't eat that because the cauliflower looks like mashed potatoes! Kids are so fickle. YUM-O!! I've used cauliflower as a sneaky potatoes replacement before and it is AMAZING how similar they are. This looks divine. I love sheperds pie and haven't made it in a long time. I love the cauliflower topping. Ooooh...what a great idea about the potatoes! Way to save on the carbs. We just made shepherd's pie at home, but the vegetarian options, packed with lentils. I'd love the try it with this cauliflower puree! This puree looks just like potatoes....amazing! 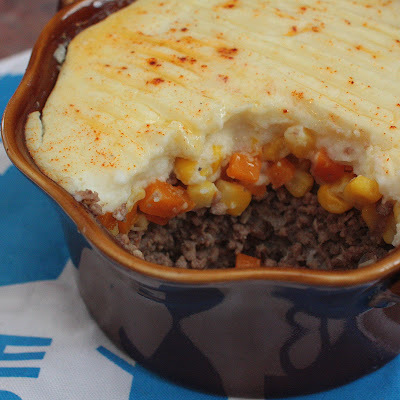 We're lovers of Shepherd's Pie in my home and this would be a great alternative. Thanks for sharing. My in-laws just bought a cow and gave us a beautiful t-bone steak. Can't wait to try it! 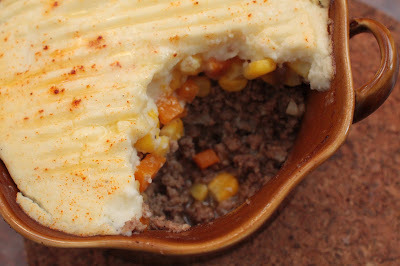 This shepherd's pie looks delicious, and I want to try that cauliflower topping! My husband is the picky eater in our family.. pickier then my son, who will eat almost anything. Unfortunately he is a little harder to fool. :) But, I would gobble this up in an instant. It looks delicious! 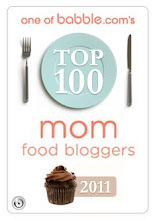 Sounds great, except my picky eater won't eat mashed potatoes. Yes, he's weird. Great idea, I'm saving this one for when I have kids! Your shepherd's pie looks delicious! Although one day, someone will have to sit me down and explain to me the difference between "hachis parmentier", "pâté chinois" and "shepherd's pie". All I know is that "pâté chinois" has to have corn in it... Whatever, ground meat and mashed potatoes (or cauliflower) will always be golden in my eyes! I've made cauliflower purée before and have never achieved such a wonderful consistency! How did you do that?! It looks just like potatoes! Amazing! If only I had been so sneaky when L'il Burnt Toast was young. You know I'm right there with you - I have a 16-month-old that's already picky! I'm finding that he'll try things if he gets his OWN spoon and bowl. I'll just keep on keeping on. Serve it to him over and over until he gives it a nosh. love shepherd's pie and I actually found a recipe recently that uses duck instead of beef... and a mix of cauliflower and potatoe for the topping. It's one I plan on trying! LOVE this -- it looks amazing! I've been thinking about doing a mashed cauliflower for Thanksgiving instead of potatoes -- your gorgeous shepherd's pie is inspirational! Oh wow. 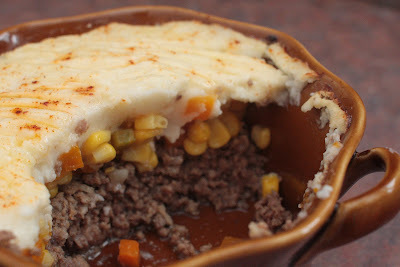 I've been craving shepherd's pie something fierce lately - so warm and comforting and perfect as the weather gets crisp. Love the cauliflower too, our veggie share program has been full of cauliflower lately! This is making it onto the 'to try' recipes this week, thanks Cuz! That looks delicious. 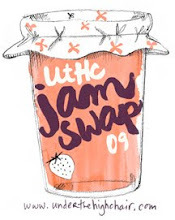 Cool blog, by the way. Delicious! I added a layer of cheddar and mozza right under the "Fauxtatoes" and used green beans and cabbage and carrots instead of corn. MMMM Great idea using cauliflower instead of potatoes!